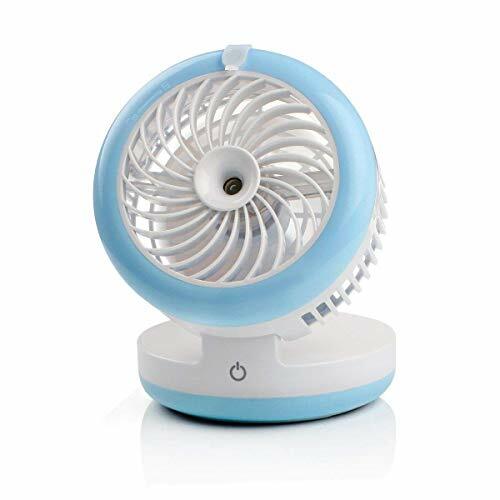 ♦ Fully charge the fan for 8 hours to make batteries play a better performance and efficiency. ♦ Turn on the back switch before using. ♦ Please use the bottle to inject water, don't let it overflow. ♦ The battery should be fully charged before storage. ♦ Don't put anything into the fan when it is working. ♦ Please use USB/DC 5V power for charging. 1. Fan + Water Misting. The fan runs continuously and the water spurts out in bursts. 2. Just Mist: This mode just has a cool mist of water without the fan running it all. This is perfect if you are using this as a small bed-side humidifier. 3. Fan Level 1: a lower fan speed, no water. 4. Fan Level 2: a higher fan speed, no water. If you have any questions about this product by Cingk, contact us by completing and submitting the form below. If you are looking for a specif part number, please include it with your message.